The Ergobaby Easy Snug Infant Insert allows you to carry your newborn baby both comfortably and ergonomically in a soothing, nest-like comfort, for a cozy transition to the world from the womb. 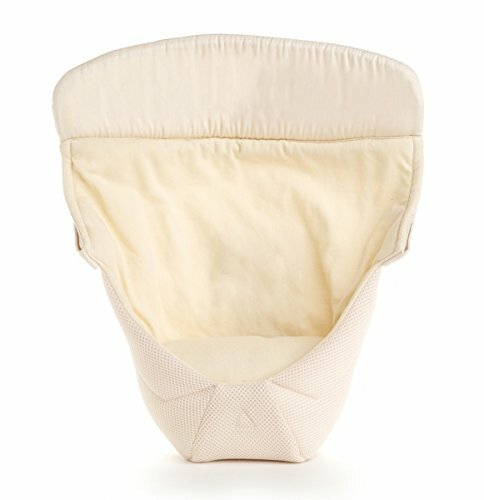 Its fan-shaped design securely attaches to Ergobaby's 3 Position Original/Performance and 4 Position 360 Carriers, enabling an easy and intuitive loading of baby and allowing more airflow, while providing all the extra thigh, spine, head and neck support your baby needs in his early months. Cool Air Mesh fabric allows for more airflow and ultimate breathability.